I often get asked, “What should I do if I’m asked an illegal question during an interview?” This is such a tough one. First, you’re caught totally off guard. And, you know the question isn’t right. You know it. But, you only have a moment to think about what to say, and the mold is set. So, in that moment, what should you do? If you’ve never been asked an illegal interview question, you are fortunate. They are incredibly tricky. Yes, this really happened. When it happened, I was a little surprised. But honestly, I wasn’t as surprised as you’d expect. The reason is because I’ve been asked this sort of thing before. I’m honestly not sure why these questions still pop up at this point in time. But, I can only assume that human resources isn’t training hiring managers well on what they can and cannot say. My guess is that they don’t spend much time on it because frankly, it seems obvious that this question isn’t appropriate. So, back to the point. How do you answer an illegal question? Some interview coaches would tell you that you should say something light, yet quick witted, such as, “I think you’re asking if I’m committed to my job – and I am!” Answers like this can avoid the question, while at the same time, sticking up for yourself in a non-confrontational way. If you’re up for it, this can be a great option. But, what I always think is this. Is it more about how I answer the question? Or, is it more about the person asking the question? I mean, when I’ve been asked “Do you have children? Are you married? Do you plan to have children,” it’s a sign to me. It’s a sign that I would prefer not to work for this hiring manager. And, I’d also like to keep the tension in the interview low, so I can keep a good relationship with the company – in case I ever want to interview there again (for someone else). For me, I choose to politely answer everything I’m asked. But, I make a mental note of what was asked. I think about it afterward and decide how I want to use the information I’ve been given. And, honestly, I’d much rather know in the interview that you (the hiring manager) aren’t going to treat me fairly than find out after I’ve been hired. So, thank you ‘illegal-question-asking-hiring-manager’! 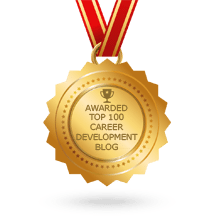 You’ve helped me to avoid a huge career pitfall!